Injured & Disabled Workers: How Can We Help You? Are You Being Harassed? Is Your Job in Jeopardy Because of Your Injury? If you are suffering from a disabling injury or disease, don’t settle for anything less than the law firm of MacDonald & MacDonald PLLC to protect your legal rights and recover your just compensation. The mission of our firm is to represent and assist injured and disabled workers and their families throughout Michigan. Attorneys in the MacDonald family have been fighting for injured and disabled Michigan workers for over 75 years and three generations. The father and grandfather of the attorneys of MacDonald & MacDonald PLLC, Attorney Robert James MacDonald, served as a Democratic Representative and Senator from Flint in the Michigan Legislature, chaired the Workers’ Compensation Section of the State Bar of Michigan and was appointed by two Governors to their Advisory Commissions on Workers’ Compensation. His son, the late Attorney R. Duncan MacDonald continued to fight zealously for over four decades to secure benefits for injured workers, including benefits for thousands of General Motors’ employees in the Flint area in Workers’ Compensation, Social Security Disability, Personal Injury and Product Liability claims. Attorney Robert J. MacDonald has continued the tradition of fighting for injured and disabled workers over the past twenty years. The firm continues the tradition of fighting to secure whatever benefits, rights, remedies and damages it can for clients suffering from injury or disability. The firm fights for our clients by offering legal advice and by representing clients in Litigation, Trials, Appellate Practice and Negotiations. 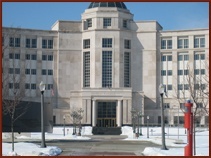 The firm is licensed to General Practice in the District, Circuit, and Appellate Courts of the State of Michigan, its Administrative Agencies, and in the Federal Courts. The firm assists clients by fighting to secure Workers’ Compensation Weekly Benefits, Medical Care, Vocational Retraining and Tuition, Specific Loss Benefits and Lump Sum Settlements. The firm assists injured and disabled clients when they face Disability Discrimination or suffer Retaliatory Discharge. Social Security Disability, SSI, Short and Long Term Disability Benefits and Disability Pensions for our disabled clients. The firm represents clients injured on, and off, the job in Personal Injury and Negligence claims against those responsible for the injuries. The firm fights for those injured in Work Accidents, Automobile Accidents, Motorcycle Accidents, Trucking Accidents, Construction Site Accidents, Aviation Accidents, Boating Accidents, Slip and Fall Accidents and those injured by Defective Products. The firm has clients in Genesee, Oakland, Lapeer, Saginaw, Shiawassee, Macomb, Livingston, Bay, Wayne and Ingham Counties. If you are outside Michigan, in western Michigan or in the Upper Peninsula, and we can’t help you directly, we will help refer you to top rated law firms that can. Many of our clients are UAW members. The firm’s clients have belonged to a number of UAW locals, including UAW Local 140, 594, 598, 599, 651, 653, 659, 699, 1292 and 5960. The firm represents other union members, including those belonging to AFSCME Locals 875,1600 and 2650 and 3518, SEIU Local 517M, Teamsters Local 332, IBEW Local 948, Laborers 1075, Ironworkers No.25–and injured people struggling and fighting without a union. 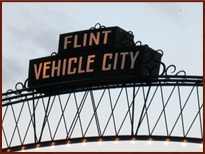 MacDonald & MacDonald PLLC is located in Flint, MI and serves clients in and around Flint, Saginaw, Lansing, Pontiac and Lapeer including Birch Run, Burton, Clarkston, Clio, Corunna, Davison, Durand, Fenton, Flushing, Frankenmuth, Goodrich, Grand Blanc, Holly, Linden, Montrose, Mount Morris, Orion, Swartz Creek and Waterford. We have clients in, and handle cases in, Genesee, Oakland, Lapeer, Saginaw, Shiawassee, Macomb, Livingston, Bay, Wayne and Ingham Counties.